Time to STOCK UP on Pasta! 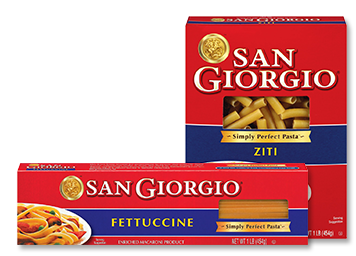 San Giorgio pasta is on sale this week at Kroger for just 49 cents! Time to stock up! Pair this deal with the deal on RedGold Tomatoes and you have a pasta deal extravaganza! Check out our recipe for Mama Michelina’s Marinara Sauce and you’ll have perfection on your plate very soon! Previous postNo Coupon Needed!! Hot Deal on RedGold Tomatoes! Next postDr. Seuss Sale! Sleepwear and more for cheap!